Pagination is an important design element. Whether we talk about desktop, mobile or web based systems, pagination is needed to navigate content that is displayed on multiple pages. Below is a collection of creative pagination styles that can be used while designing an app or site. Change is difficult to accept, but is always for good. When a user is continuously using a product, he becomes comfortable with it, although it might have several shortcomings. He does not want to change the way he is working on the product. Design is not limited to the digital world, but instead everything we use in our daily life is designed for human ease. The hairbrush that you use every day is designed in a way that provides good usability when you are brushing your hair. A good UX designer always looks forward to learn and share any related knowledge with other designers. 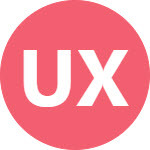 Below list contains few amazing UX links that I believe will enhance your UX understanding and help you to grow in the field. Let’s have a look, and do not forget to share links that you like other people to go through. Being a UX designer, you must have an eye to look usual things in an unusual way. Just look at the text editor you are using right now. Can you feel that there are few things that need to improve? Maybe visual artefacts or logical grouping of options on UI? Becoming a successful UX designer is based on many factors together. Out of those, Consistency is an attribute that helps you maintain every factor in a balanced form. Being consistent in your work and in daily routine makes it easier for you to overcome any calamities coming your way. It helps you to develop a habit of focusing on your work without giving up. Everyone loves to be praised for his or her good work. It feels really good when someone appreciates you, your work, or your actions. Whitespace or empty space is an important entity in our life. Just look around you. Your living room is filled with different items. Within four walls, there would be tables, chairs, cabinets, sofas and other items. Start Your UX Career In Just 5 Steps! SIGN UP for FREE UX Design Course to learn how to design amazing experiences that people will love to use! SIGN UP to get FREE E-Book: UX Design Fundamentals to learn best practices, UX design process, and career advice from designers. How to Design a Perfect Date Picker?